CELEBRATING LIFE!! : An afternoon Silhouette! 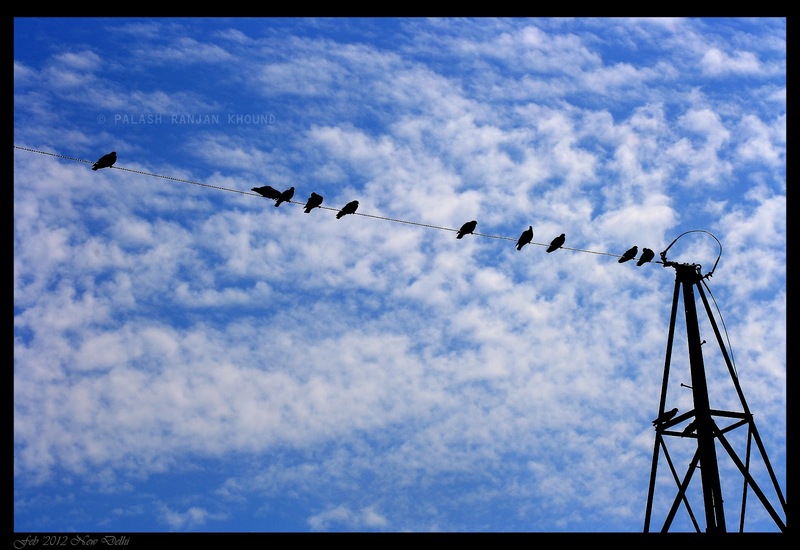 Wherever you go in Delhi, one thing is quite common - Its the population of pigeon. They are in abundant and sometime they do make the skyline beautiful - worth capturing. I took this picture from my home on a sunny Sunday. 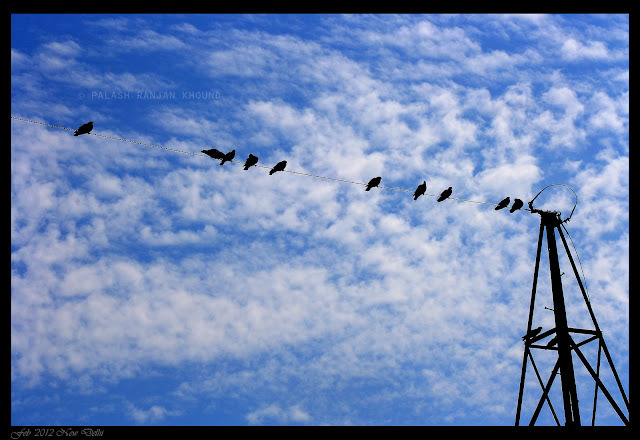 The silhouette of the pigeons against the blue sky and the contrasting white clouds make a perfect composition.